A letter will be mailed each year with a reminder of the day of the Yahrtzeit. The memorial bulb will be lit during the week of the yahrtzeit and for all Yizkor Services. 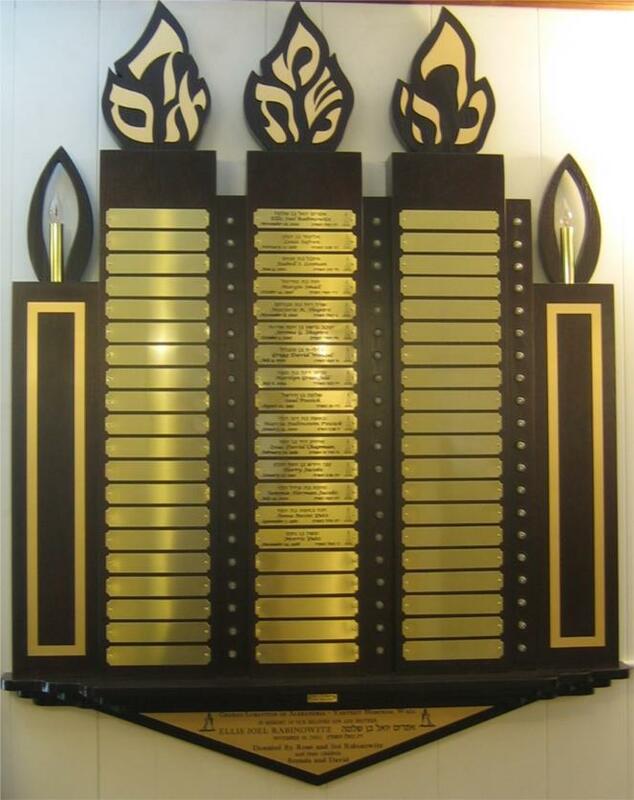 The cost for inscription on a bronze nameplate is $500. I would like to dedicate plaque/s at $500 per name/plaque.